If you have created a system of trading strategies that are quite capable, do you consistently apply it, or do you always change trading strategies every week? If you always change the strategy from the one you have chosen, that means you don’t focus on one trading strategy system and don’t use it consistently, so the trading results obtained may be inconsistent as well. If the results are not consistent, how can you become a Master Trader? In fact, the current Master status is almost always targeted as the main destination in trading. For beginners, the aspiration to become a Master Trader is the background to continue developing trading skills. In their minds, the Master Trader is generally associated with success to consistently gain profits. It’s no wonder that many beginners dare to pay big fees to learn how to become a Top Trader. Believe it or not, big fees are no guarantee of becoming a Master Trader. Beginners with limited capital also have an equal opportunity to aspire. Of course, there are several steps and methods that must be considered while building the foundation of becoming a professional trader. When trying Forex trading, beginners usually only rely on instincts to execute selling or buying on the trading platform. The result, when they get a profit, they cannot repeat it consistently. Whereas when they lose, they cannot identify where the mistake is. Next, beginner traders start learning how to use signals to know when to open a trading position. However, trading signals alone are not enough to be used as a standard for Master Trader strategies, because there is still a risk of fake signals. The trading signal on the chart above shows a reversal signal is quite convincing because the price looks to start reversing from the Resistance limit, and the RSI indicator shows Overbought condition. The question is, will the price really move according to the expectations of the Bearish signal? As it turned out, the price was still stubborn, rising through the Resistance to 40 pips. After the momentum of the Uptrend was completely exhausted, only then did the price plunge back. In that situation, the trading position may have been closed losing because of the Stop Loss, or the equity has been reduced to exceed the Margin limit and caused the Margin Call. Not satisfied with the accuracy of the signal, beginners are trapped in the habit of changing the arrangement of indicators and the rules for opening trading positions. Whether it’s imitating other traders’ trading methods or learning from the master trader strategy. Basically, trading by adopting the Master Trader’s strategy should not be affected by previous strategies. You must forget the old strategy and really focus on the concept and how the new Master Trader strategy works that we want to implement. The foundation of how to become a Master Trader starts to form after we are disciplined and consistently applying the trading system. That is, we already have regulatory entry and trading positions, and risk management to prepare for unexpected price movements. 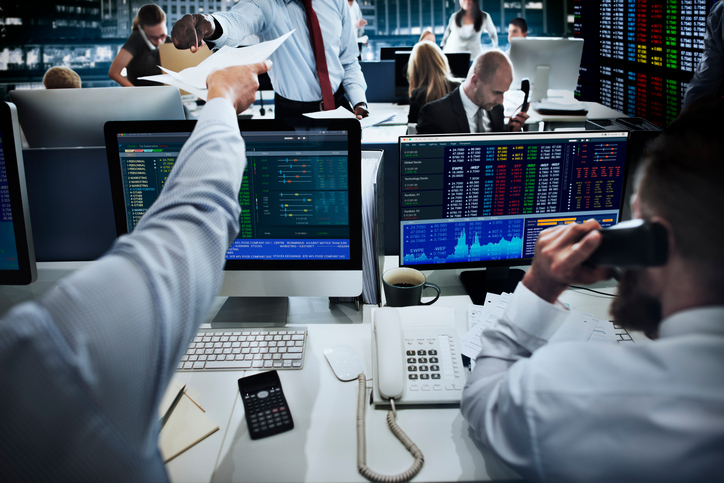 The disciplinary process of running a trading method may be achieved at different times between one trader and another trader. The fulcrum is not on the amount of capital, but rather focuses on the individual’s ability to control emotions during trading. Emotional control is often associated with experience; the more you eat salt acid in the trading world, the more accustomed your trading mentality is to dealing with market turmoil. But if you only rely on learning while on the go, there will be a lot of funds that you need to sacrifice. In order not to sacrifice too much money, you can minimize emotions in two ways: use capital and risk management according to tolerance limits, and reduce the use of trading systems that include too many analysis models or indicators. The main purpose in applying a trading system consistently is to reduce noise (low accuracy signals), or doubts that often arise because of too many trading methods, or when opposite trading signals appear from different indicators. In short, whatever your chosen trading system will be, learn to use it consistently without having to make radical changes. So, you can still make minimal modifications to improvise on changing market conditions.